September 24, 2015 / M.
As the summer gardening season comes to an end and quieter autumn days arrive we can often find inspiration for future garden projects surveying other gardens. Perhaps you have been thinking to add raised beds to your garden? Raised beds are an excellent way to choose a great blend of soil to grow your garden, rather than amending what is on your lot. It’s possible to make a raised bed that is just an area of higher-elevation dirt, but building a container keeps the soil corralled (especially when it rains). And, it looks nice, too! Many standard raised beds are put together from 2x4s, 4x4s, or 2x8s for a nice wooden structure, but it’s possible to make your own raised beds using inexpensive and/or recycled materials. Check out these three inspirational examples from the Multnomah County Master Gardener Demo Garden, located at 6801 SE 60th between Duke and Flavel. Reuse old bricks, set halfway into the soil at a 45 degree angle, to create a nice border! The beautiful branch (wattle) border below was made from cuttings from trees that were being trimmed anyway. Some beds like this at the demo garden were even recycled from work the city was doing, and reused by the Master Gardeners. While they were still flexible, the branches were woven in and out of stakes placed around the bed. 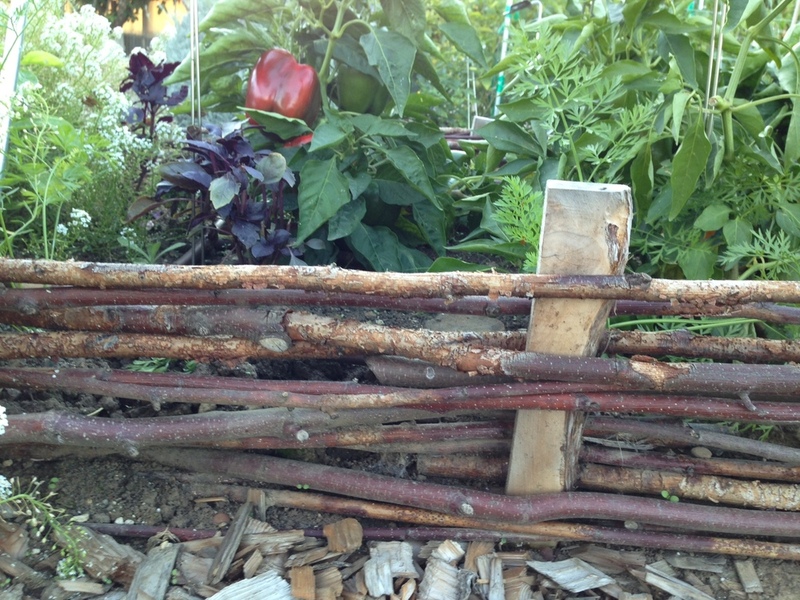 A variety of staking material was used: short branches, wood staking, and rebar. And of of the most creative beds at the demo garden is with old wine bottles! The different colors of the wine bottles glimmer in the sun and create a beautiful garden bed. Plus, a few of them have become tiny terrariums - little plants pop up and grow on the inside! 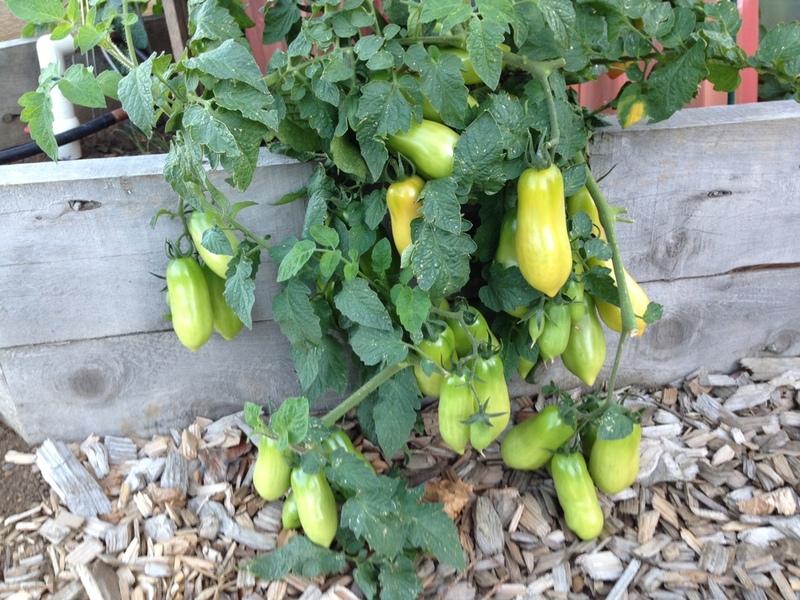 We would love to see what other creative ways you’ve made raised beds in your garden! Share them on the Incredible Edibles Plant Sale Facebook page and we’ll repost our favorites!